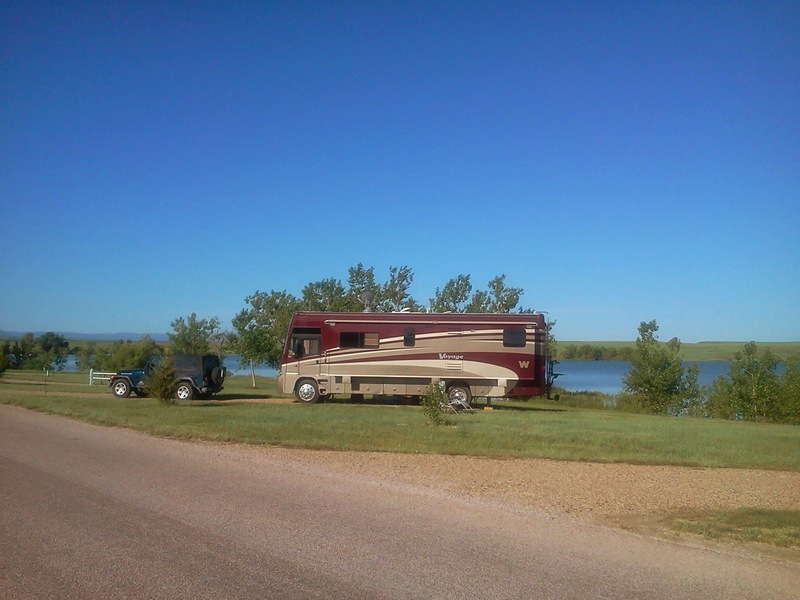 Apparently, a month in South Dakota wasn’t quite enough for us so we booked a week long stay at Rocky Point Reservoir at Orman Lake. 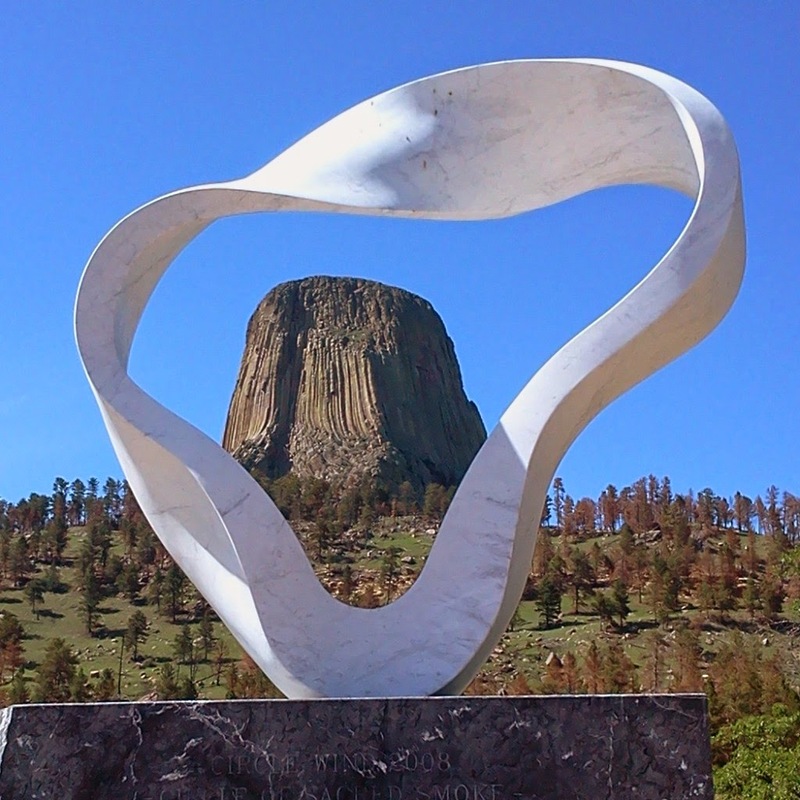 We were looking for a place that offered fishing and biking trails and for a basecamp to make the long drive to Devils Tower via the Jeep rather than the RV for the sake of fuel costs. At $19 per night, Rocky Point is a bargain. ALL of their sites are water front and that’s not an understatement. 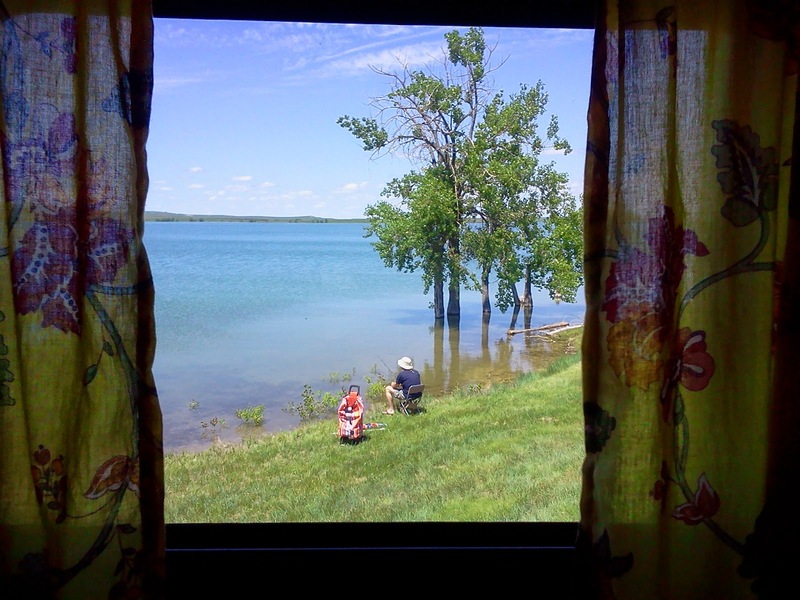 The view out of our our bedroom window…Clark fishing. Huge level sites with plenty of room for the toad (Jeep). Although there aren’t many trees, there was a lot of room between campsites. The Mutiny from across the lake. 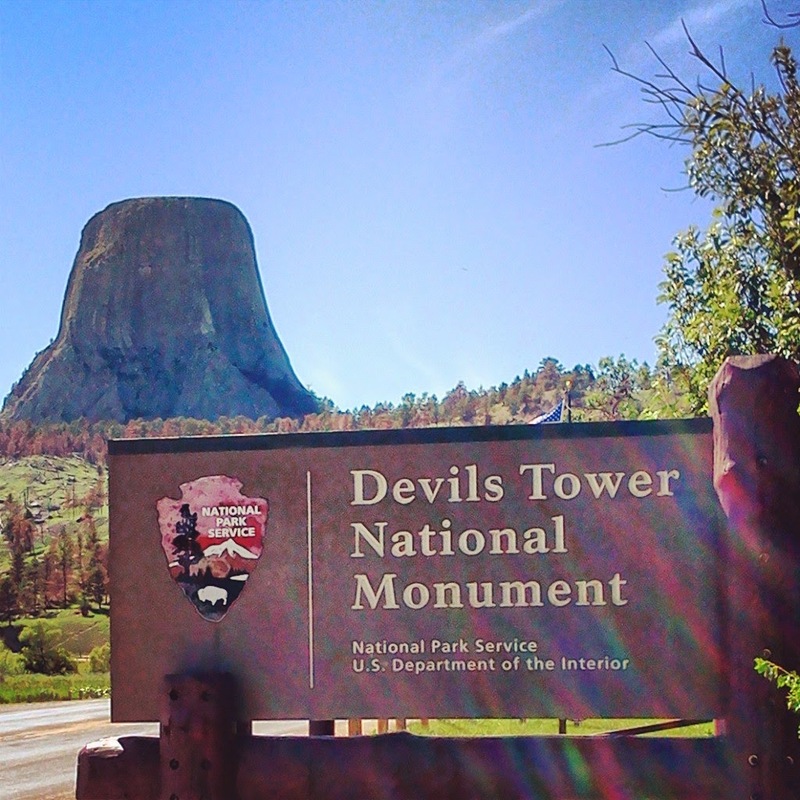 Enjoyed a nice hike around Devils Tower National Monument. This is a very sacred and spiritual place. It’s hard to not be moved by the energy you feel here. And being in the shadow of such an enormous and true wonder of the world is awe inspiring. 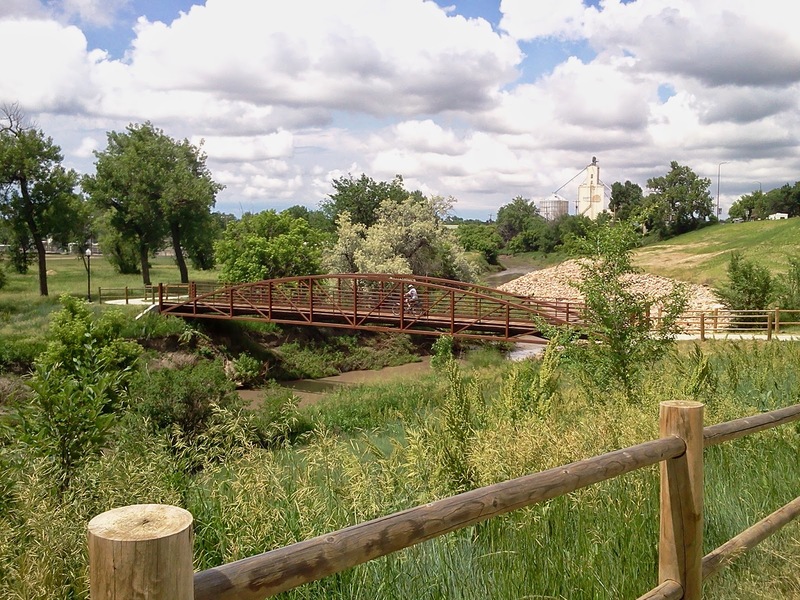 It’s a great place to bring a picnic and take your time to enjoy. A climber on the Tower. 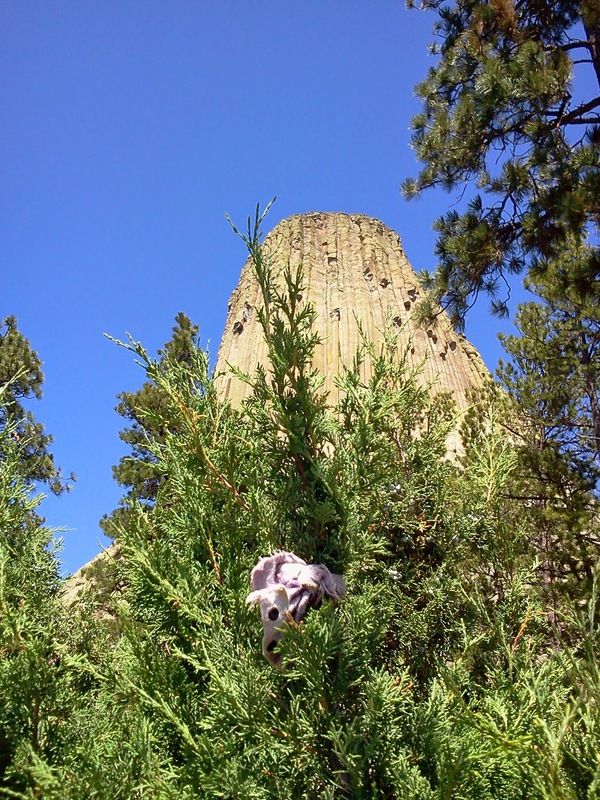 One of the many, many prayer bundles you’ll find on the trees around Devils Tower. 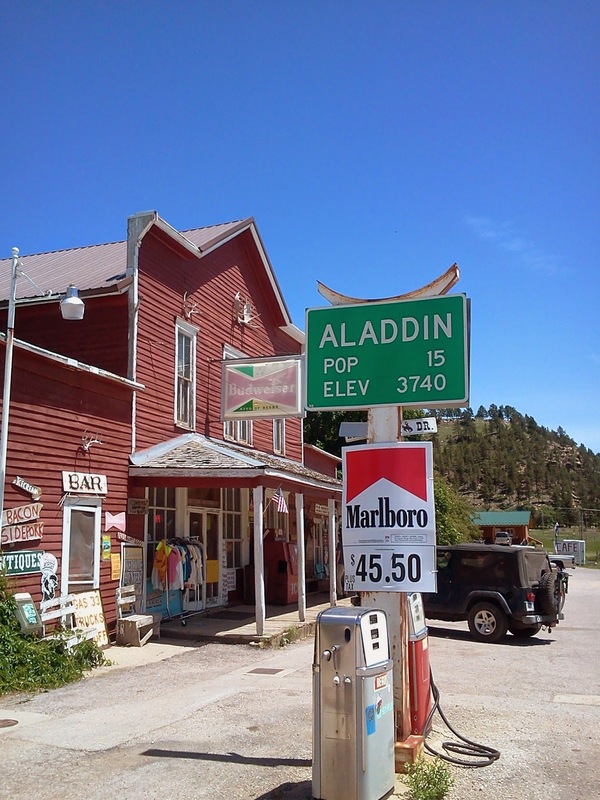 Alladin’s General Store in one of five last remaining (and best preserved) 19th century mercantiles in South Dakota. 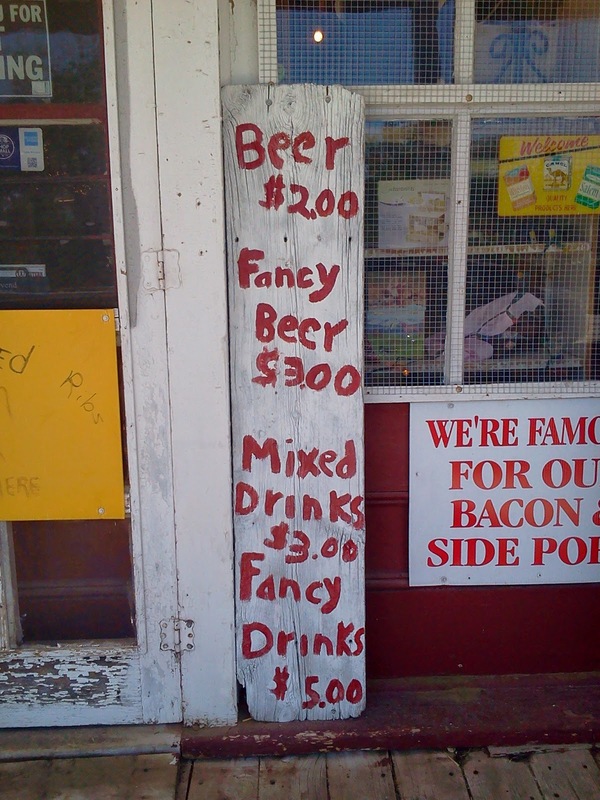 “Fancy beer” is anything other than PBR and Bud Lite. At least they obey the traffic signals. Our position on the lake was fantastic. We had a few opportunities to watch storms roll across the prairie just north of our position. After our near-tornado experience in Missouri kept us on high alert but being in the “boonies” did little to pinpoint the dangers in the area. Our NOAA radio would go off occasionally but the storms would be far from our exact location. 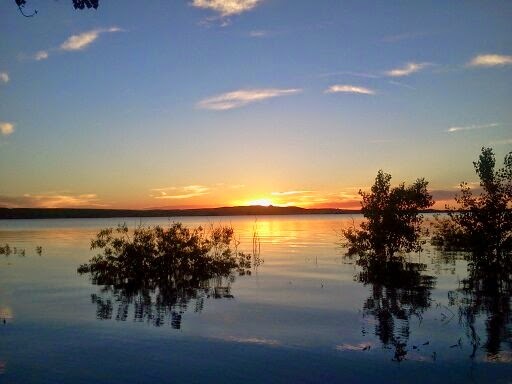 The one time we were hit by a major ‘squall’ at this lake was very unexpected and quite damaging. 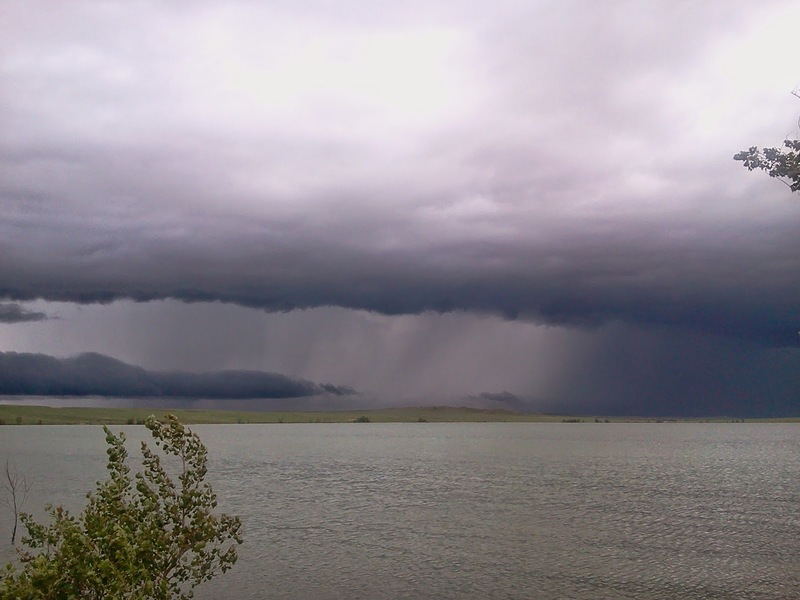 Watching a storm roll across the other side of the lake. This was NOT a precursor to the squall that ripped our awning. On an otherwise peaceful day a wind storm hit us with no warning. The sky didn’t change, the alarm didn’t go off and everyone around us (including those in boats) were taken by surprise. Sustained winds of around 60 mph swept off of the lake and flipped our awning up like it was a feather. 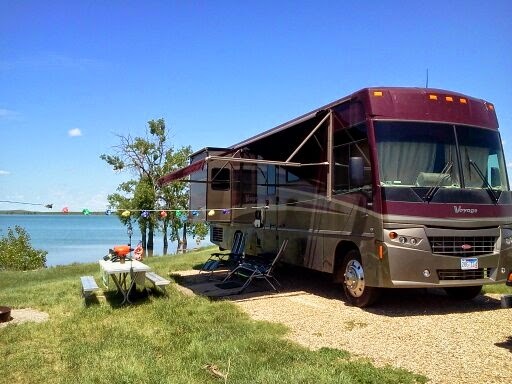 Although our awning is automatic and equipped with wind-sensors it had no time to roll up. Watching from inside the Mutiny was torturous. We could see the seams starting to split and prayed that the arms of the awning didn’t snap off and puncture the side of the RV. The water from the lake was forming waves that were washing over the edge and literally splashing the RV even though we were a good 20 feet or more from the edge. Here’s a view of the awning a few days after the wind storm that tore all three seams. It was terrifying. We couldn’t open the door to even attempt to secure the awning because the wind was so strong. It was the middle of the day and not like we were negligent in leaving the awning out on a windy day. See, I know there will be other full-timers who want to give us “advise” on the proper use of our awning and how we should never leave it extended overnight…blah, blah, blah. Guess what, sometimes the unexpected happens no matter how careful you are. 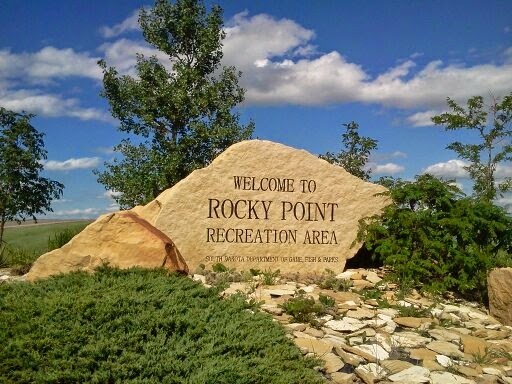 Even as we limped out of South Dakota with our ripped up awning we loved our Black Hills experience (and still highly recommend Rocky Point Recreation Area if you don’t mind being further away from civilization). 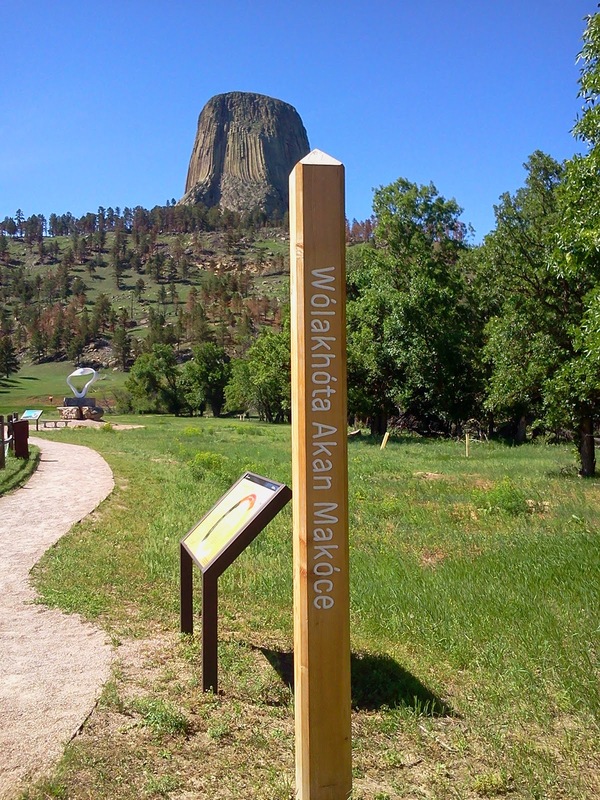 We stayed at some quirky parks, got to enjoy the best (and not so best) of nature, saw some amazing landmarks, monuments and animals. My advice for anyone visiting would be to take as much time as possible to just drive around (or ride your *bike) and let it all sink into your skin. You won’t be disappointed. 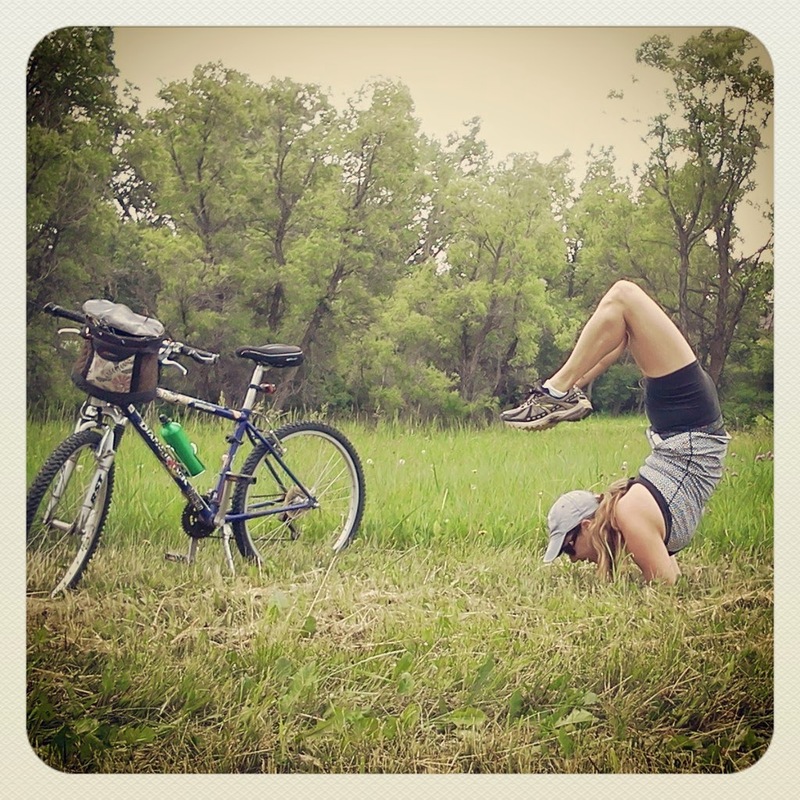 *An invitation to my sister…let’s ride the George S. Mickelson Bike Trail together. 109 miles of converted railroad ridges and tunnels through the Black Hills. The guys can be our support crew, setting up camp and cooking dinner along the way. I literally drank in these photos – the next one more beautiful than the one before it. Then about half way through I stopped and had to scroll back up to the top; 'Where is this again? North Dakota?!?!!' 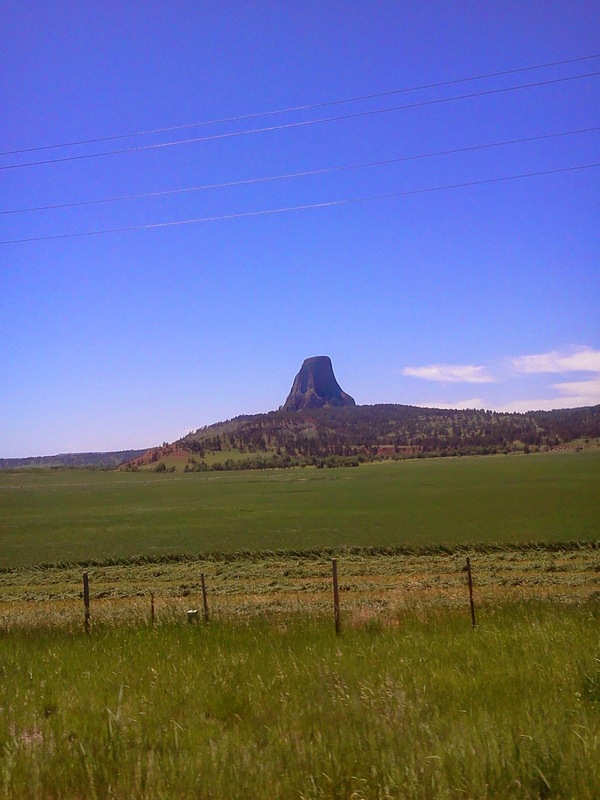 I had absolutely no idea that area of the US was so pretty. Would be a lovely place to connect with nature and some watercolors. Love the photo of Clark holding the moon. 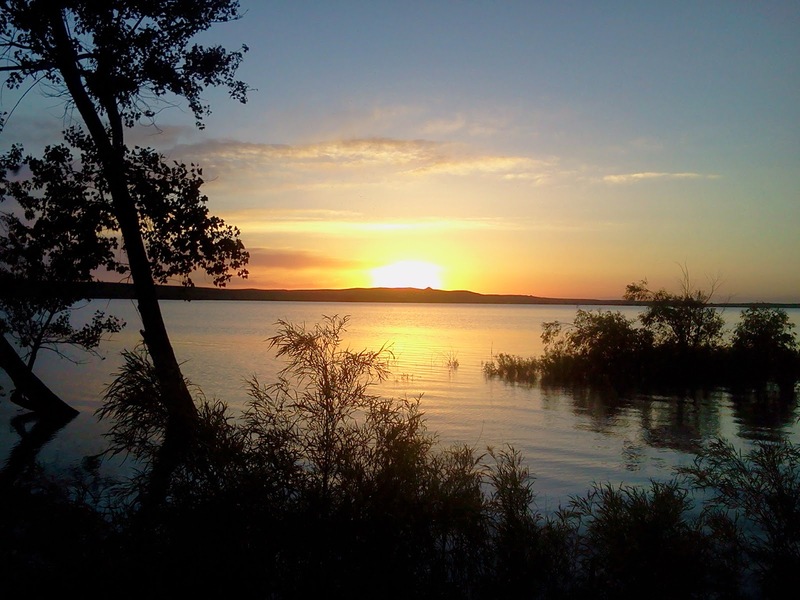 Actually, this is from South Dakota still….we spent a lot of time in the Black Hills area and yes, it is beautiful. 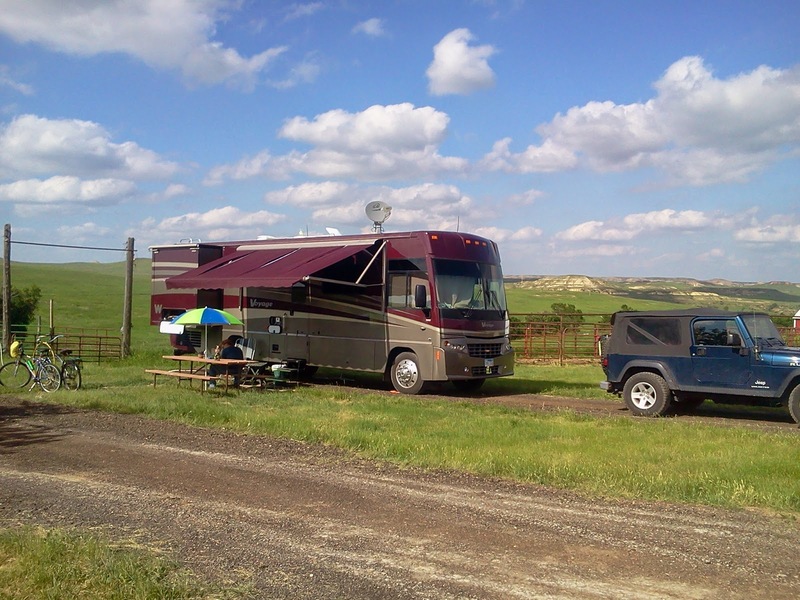 Our latest post (today 4/12) is from North Dakota and I have to say…the pictures might be even more stunning…no thanks to me…I had amazing scenery no matter where I turned. You'd have soooo much to paint there…I think you should do it! !